Christmas doesn’t have to be a burden on the environment. With a little effort and imagination, we can reduce the environmental impact of the holiday season. The Irish Peatland Conservation Council have published a booklet with 14 different ideas and lots of advice to help people celebrate the season while caring for the earth. 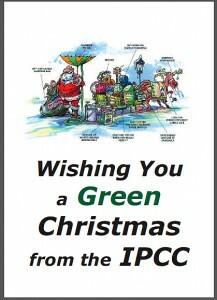 The booklet is downloadable from IPCC Green Christmas. All the obvious ideas are there such as shopping locally for fresh produce or crafts, making your own Christmas cards, gift tags and decorations from last years cards, recycling all the tins and glass, composting kitchen waste, shredding the Christmas tree and using decorations with LED lights to reduce energy consumption. IPCC also suggest a few ways to enjoy nature by taking a Christmas walk to a natural habitat or decorating a tree in the garden with all kinds of treats for the birds. During 2013 IPCC published a Peatland Passport for Ireland. The Christmas holidays might be a great time for people to set themselves the challenge of visiting all 14 peatland sites in the passport in 2014 which are located all around the country. See Peatland Passport. Wishing You a Green Christmas from IPCC.